“The actions of Tipperary County Council have once again revealed the deeply precarious position that many local authority tenants find themselves in. Given the scale of the housing crisis and the obvious inability of so many families to meet the increased rent demands, I am calling on Minister Murphy to issue a directive not just to Tipperary County Council, but to all local authorities asking them to place a moratorium on rent increases under the differential rent schemes. What I am hearing from local councillors is an absolute frustration with these kinds of unilateral decisions that are being taken without any kind of meaningful engagement with them. Councillors have consistently informed me that they are requested to attend ‘workshops’ on this and other related issues only to find that the decisions have already been taken and that nothing they can say can effectively alter the outcome. The rent issue is one that we cannot afford to make any worse given the national housing emergency we find ourselves in. 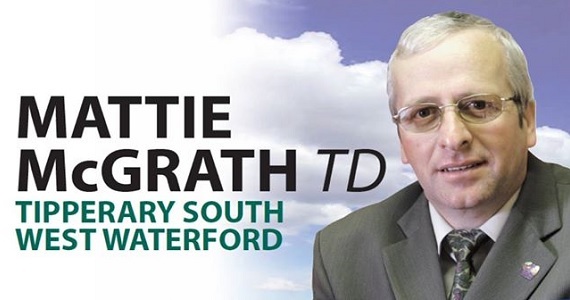 In light of that I hope the Minister will call on the local authority chief executives not to initiate policy changes that will actually make it harder for families to stay in their homes,” concluded Deputy McGrath.